(Bloomberg) -- John Gerspach has some parting words for investors: Citigroup Inc. has moved past the distractions that have held it back in recent years. As Gerspach prepares to hand the CFO title to Mark Mason next month, he said the bank has “cleared the path” to invest in businesses such as treasury services and private-bank offerings to boost returns. Citigroup is focused on achieving a return on tangible common equity, a key gauge of profitability, of more than 13.5 percent in 2020, he said. 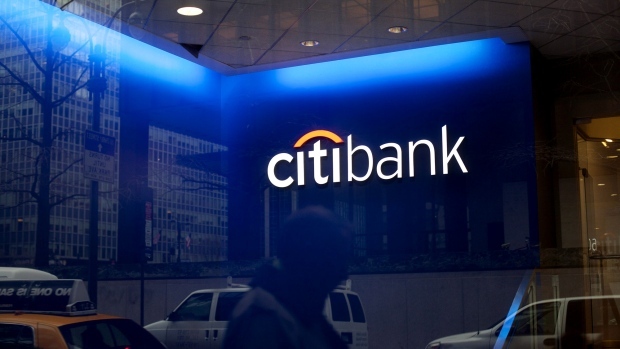 Citigroup has struggled over the years to articulate its plans for growth as it disposed of more than $800 billion in legacy assets that contributed to its near-collapse during the financial crisis. The bank had “lost its way,” Gerspach said, with 2014 a low point as executives discovered fraud in its Mexico unit and later failed the Federal Reserve’s Comprehensive Capital Analysis and Review, a stress test measuring the lender’s ability to withstand a severe recession. Gerspach, 65, said many of the bank’s biggest rivals have already achieved returns that Citigroup is still striving to reach. JPMorgan Chase & Co. said its return on tangible common equity was 17 percent in 2018, while Bank of America Corp.’s was 15.6 percent. Mason said at the same event that markets have rebounded after Wall Street banks suffered a tough end to 2018 amid heightened volatility. The bank hopes to see a pick-up in debt issuance after the U.S. government shutdown ended in January, he said, adding that the pipeline for mergers remains strong. While Wall Street will face particularly tough stress tests from regulators this year, Gerspach said the assumptions included in the 2019 exams were modestly favorable compared with last year. He even joked that he might be called in to help as the bank evaluates how to include a stressed capital buffer and changes to so-called Basel rules in its capital planning. “We’ll see whether or not I get any calls,” Gerspach said.